Become a member of the American Museum of the Cuban Diaspora today! "Governments may execute, imprison or deport individual artists and thinkers. But the world of culture is beyond their jurisdiction. The artists whom they discourage, punish or expel, if they escape with their lives, reappear on distant landscapes." The American Museum of the Cuban Diaspora is a culturally specific museum of memory, dedicated to showcasing and documenting the history, culture and contributions of the Cuban Diaspora, through the arts and humanities. 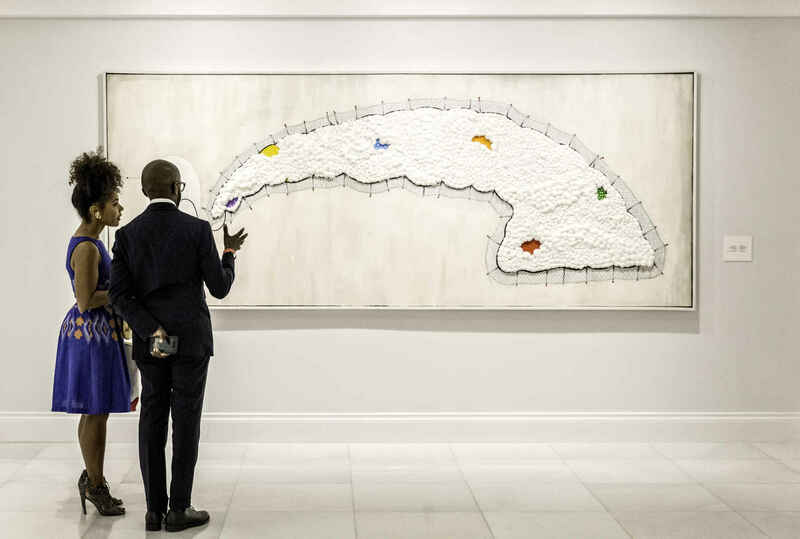 The museum's mission is to tell the story of the millions of Cubans living around the world, through the eyes of its greatest artists, thinkers, and creators. These individuals, born outside or forced from their homeland, have emerged in distant landscapes, carrying the story of a people in exile. Located in the heart of Miami, just minutes from Little Havana, The Cuban aims to give this story a homekan. Although we receive some operational support from Miami-Dade County, and generous community partners like Bank of America and Bacardi, the museum depends on the contributions of private individuals like yourself. In fact, individual giving and membership revenue continue to be the largest source of funding for museums across the globe. Stated simply, we need your support. Remember, this museum is for all of us! It's a platform for our stories, a vehicle for communicating our trials and triumphs, and the poignant message we will send to a time we'll never see. Thank you for supporting us as we open the doors to your museum. We look forward to serving this community for many years to come. As a museum member, you will enjoy free admission, discounts on museum merchandise, and priority access to all museum events, activities and exhibitions, plus invitations for two to openings and special events, as well as many other benefits detailed below. NARM (North American Reciprocal Museum) benefits, including free admission to over 1,000 participating museums in North America, more than a dozen of which are right here in Miami. *Each guest pass admits two people, and must be redeemed within the current membership year. **Tours must be requested at least 2 weeks in advance. Dates/times are subject to availability. ***Discount applies to facilty rental fees only. Cleaning and other fees may apply. All events are subject to approval and availability, and must fall within the current membership year.